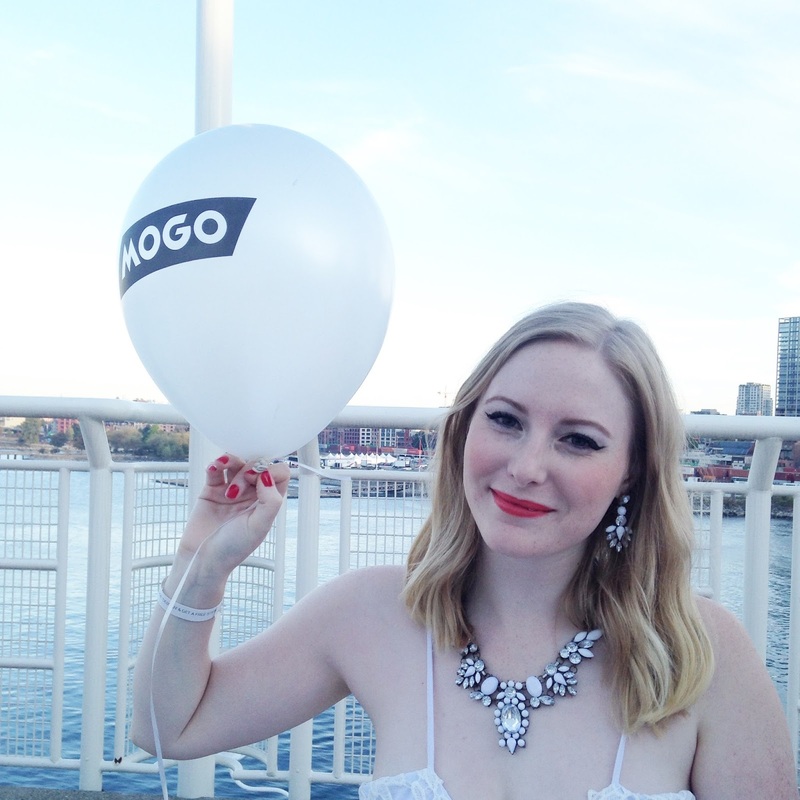 On arrival, we set up our white table scape at the secret location - Canada Place - where Mogo welcomed us with pearly white balloons for the dinner celebration. As we sat there, drinking our wine and eating our home-made pesto pasta dish, I was in complete heaven listening to Ballad du Paris from Midnight in Paris as the sun went down. 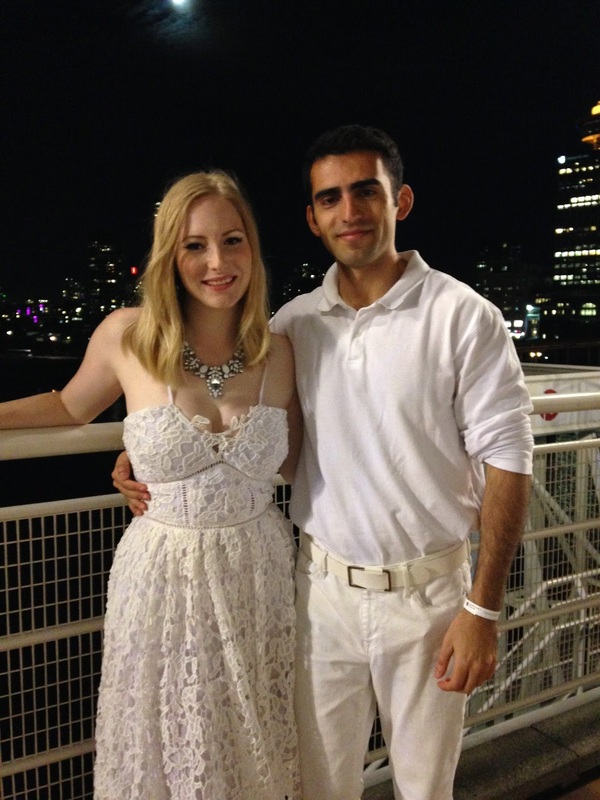 Once the sparklers came out, the night became even more magical! 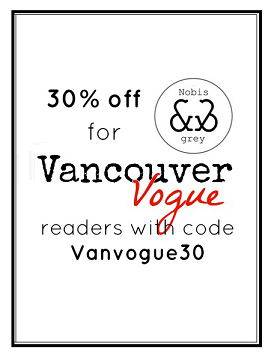 The night made for some amazing people watching as well; it's funny that even with everyone in all-white, there such an incredible variety of fashions and individual styles to be seen, from extravagant headpieces to piled-on statement jewellery. 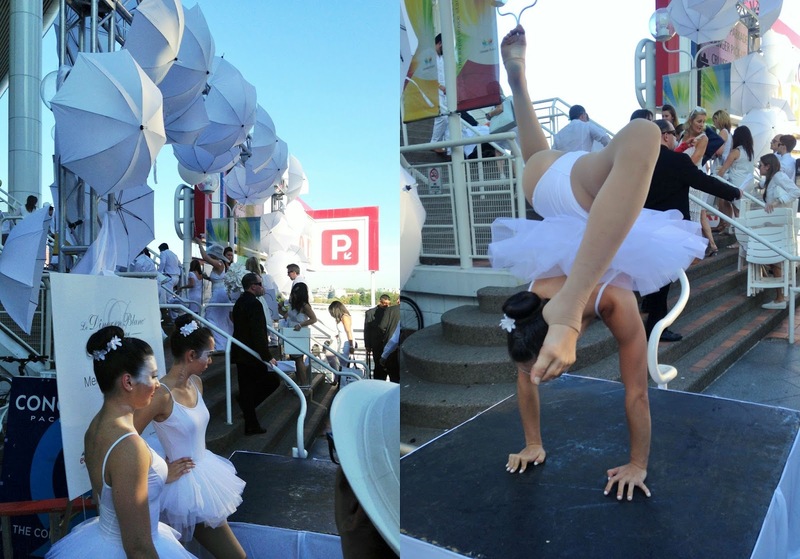 And the Diner en Blanc performers were a sight to be seen too. Overall, just an awesome first time experience, thanks Mogo for bringing us along! 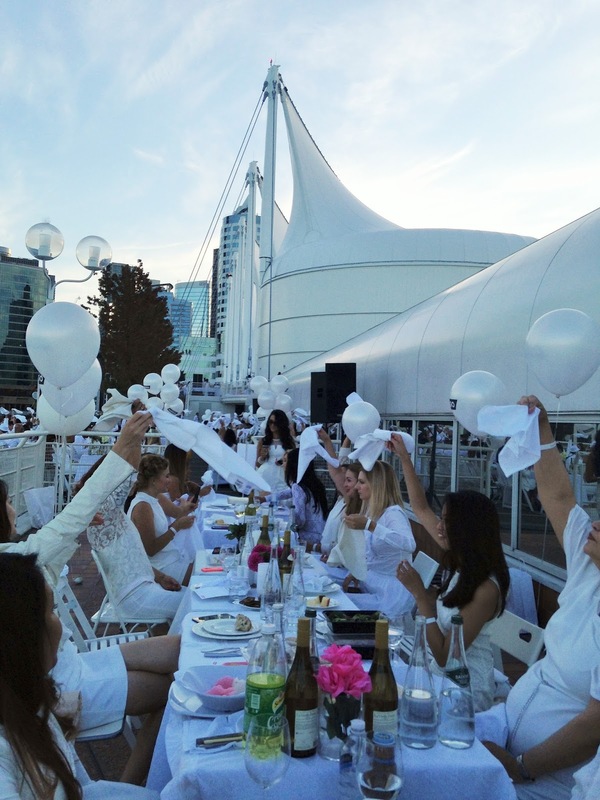 The waving of the napkins - the official start of Diner en Blanc! The ladies Miranda & Aurora of Style By Fire - always looking fabulous!